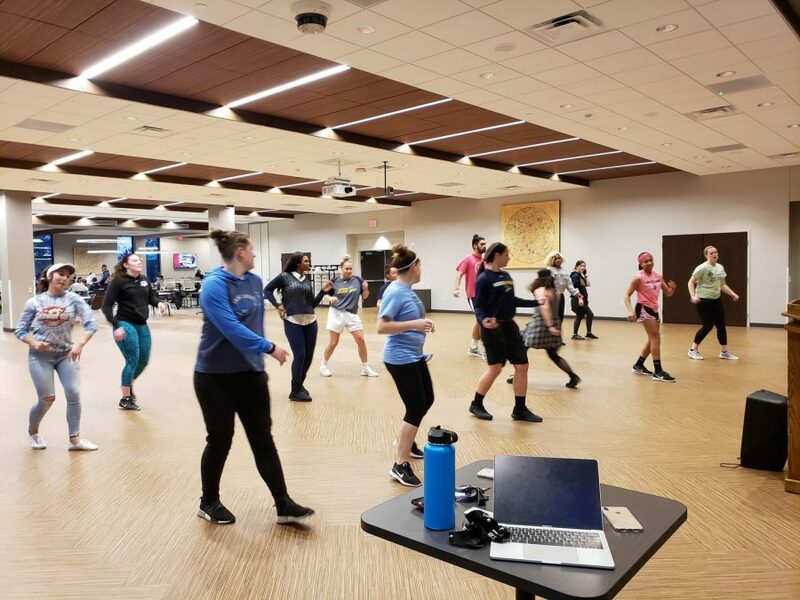 Lakeland University Global Student Association held a Zumba class in the Younger Family Campus Center event space March 26 at 7 p.m. The event was led by instructor Mikki Payne with the goal of exercising in a fun, exciting way through dance. GSA hosts many of the projects held here on campus, including International Night, which will be held on April 13 in the Bradley Theatre. More information regarding International Night will be included in the next issue of the Lakeland Mirror. Photos provided by the Global Student Association.